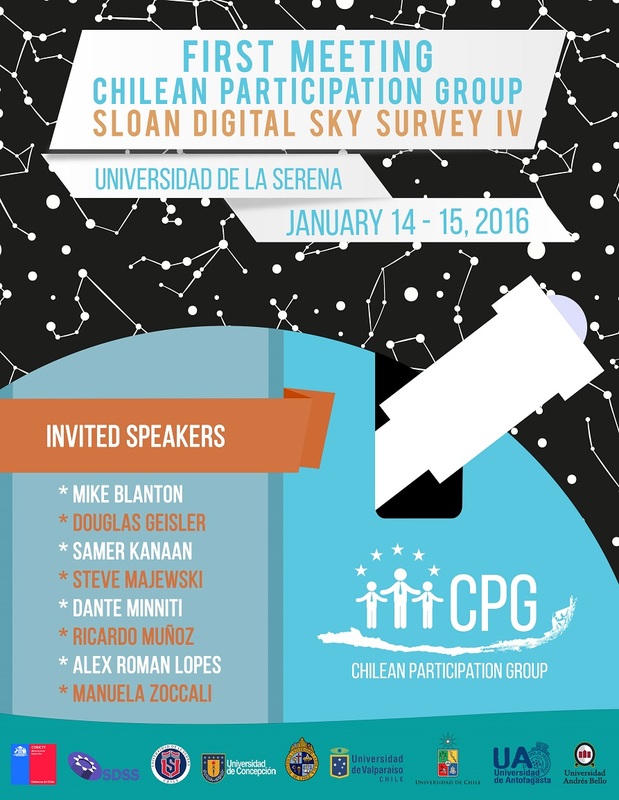 Chile is poised to become a member of the Sloan Digital Sky Survey IV as the Chilean Participation Group (CPG). This is a unique effort in Chilean astronomy which allows members access to the entire suite of SDSS IV instruments, including eBOSS, MANGA and APOGEE-N on the Sloan Telescope at Apache Point Observatory in New Mexico as well as APOGEE-S, a copy of the northern instrument which will begin operating on the Las Campanas Observatory DuPont Telescope in 2016. The Project ends in 2020. The addition of APOGEE-S opens up southern hemisphere access to the Survey. In addition to the normal Chilean access to this instrument, this also provides Chilean astronomers with a unique opportunity to join this world-class survey by becoming a member. The CPG currently consists of seven Chilean astronomical institutions which have worked together for several years to forge a partnership whose responsibility will be to operate APOGEE-S, which allows Chilean astronomers to join SDSS IV. This will be the first open meeting of the CPG. It will bring together the Director of SDSS IV, the PI of APOGEE-N and -S, current CPG members, people involved in the CPG commitments, especially those at ULS who have done the majority of preparation for APOGEE-S operations, as well as allow other Chilean astronomers and institutions interested in joining the CPG to find out about the project. It will provide a forum to celebrate the CPG becoming an official member, discuss scientific plans, forge scientific collaborations, learn about details of the APOGEE-S operations and the Education and Public Outreach activities associated with the CPG, etc. Although APOGEE-S is clearly of primary importance to the CPG, all of the instruments involved in SDSS IV will be covered in this meeting. There will be time for a number of contributed talks as well. We particularly welcome talks about scientific projects involving any of the SDSS IV instruments. In order to register and to indicate your interest in giving a contributed talk, please fill out the form below and return it to Amelia Ramirez via email (aramirez@dfuls.cl) by December 30.